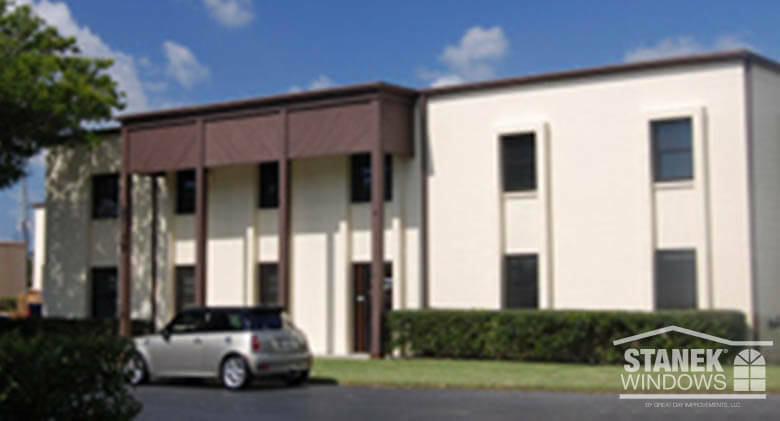 Stanek windows are ideally suited for commercial spaces because of their high structural ratings and large custom window and patio door sizes. 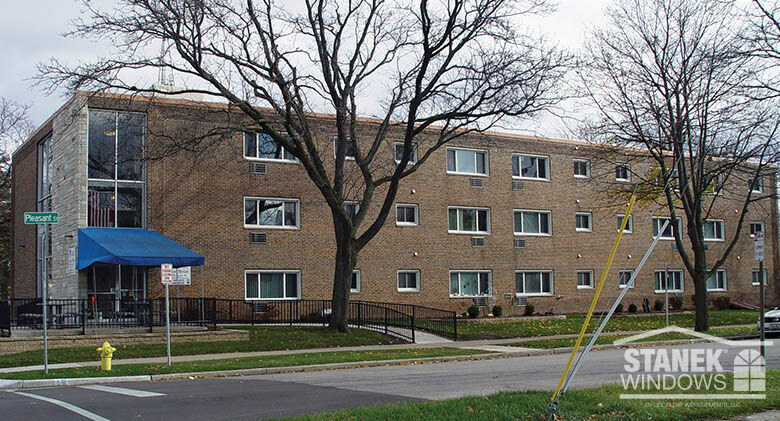 Some of our most satisfied new construction and replacement window customers include churches, low-rise apartments, condominium buildings, school buildings and hospitals. 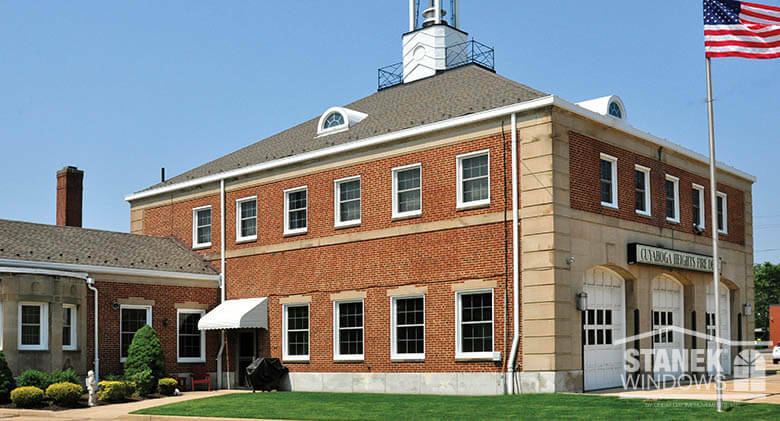 Commercial Window White, double-hung windows with colonial grids on fire station in Ohio. Also half circle window with custom grid on roof. 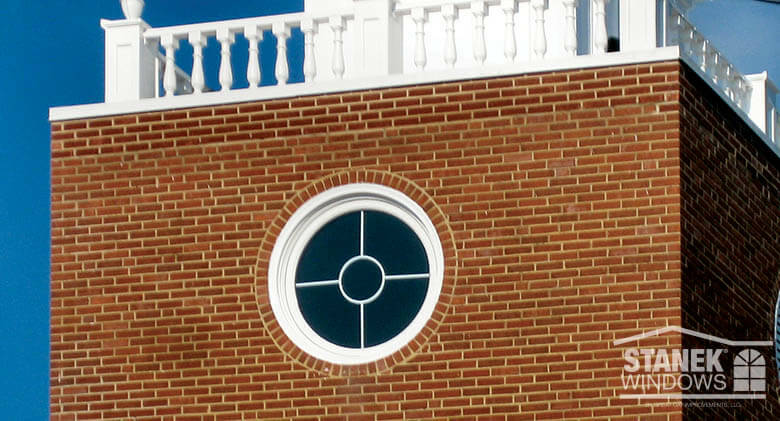 Commercial Window White circle window with custom grid on church steeple. Commercial Window A custom exterior color complements this condominium on the east side of Milwaukee. 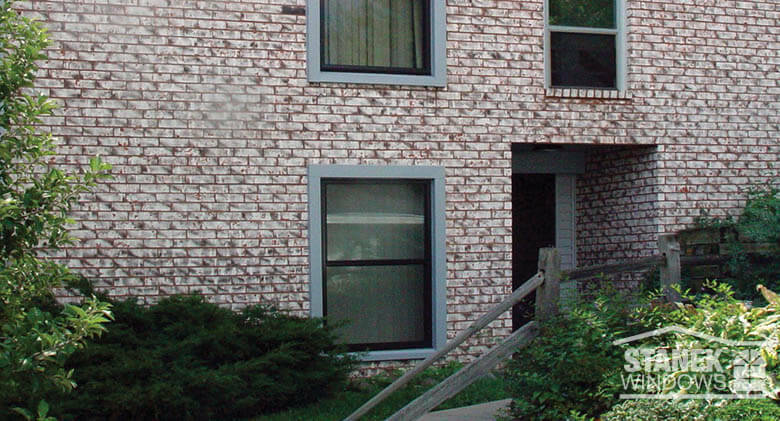 Commercial Window Stanek double-hung windows are perfect for this Waukesha, Wisconsin, apartment building. 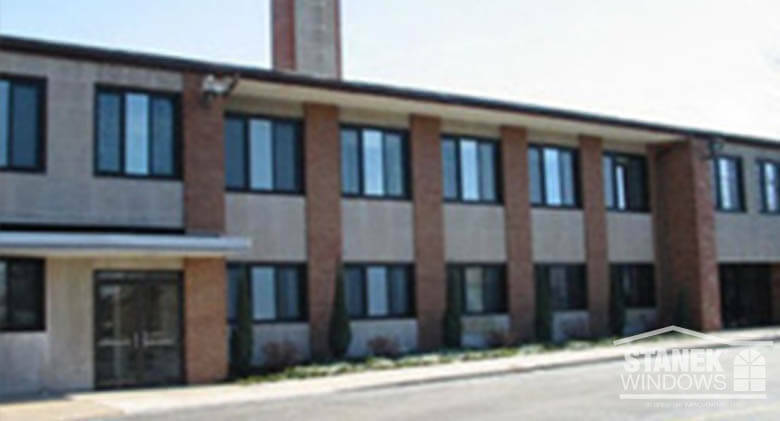 Commercial Window Stanek casement windows are attractive and secure for this Waukesha, Wisconsin, nursing home. 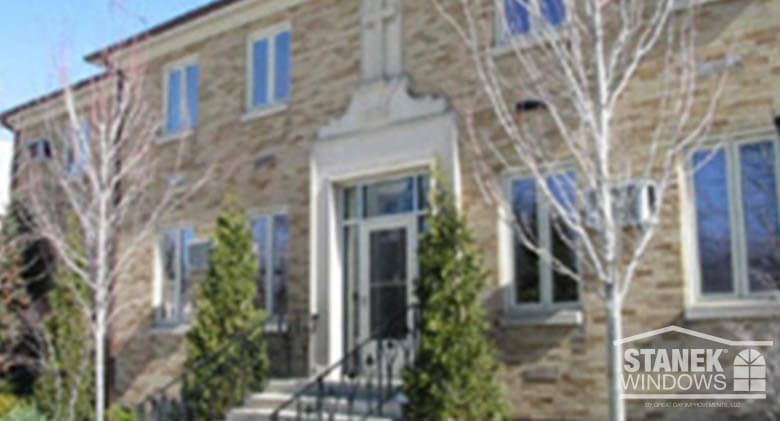 Commercial Window Beige casement windows are well suited to the look of the rectory at St. Albert The Great. 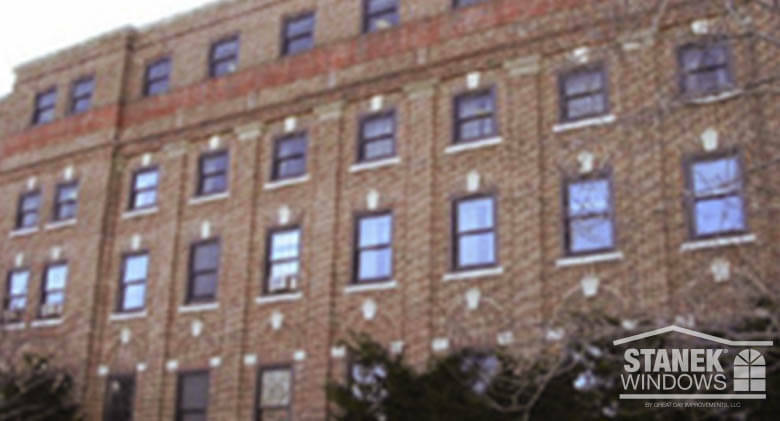 Commercial Window Brown double-hung windows complement the architecture of this apartment building. 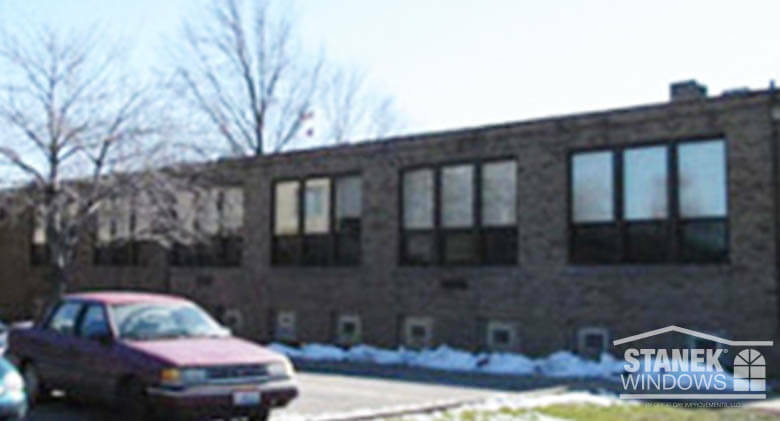 Commercial Window Brown awning windows provide secure ventilation for this St. Thomas More school in Brooklyn, Ohio. 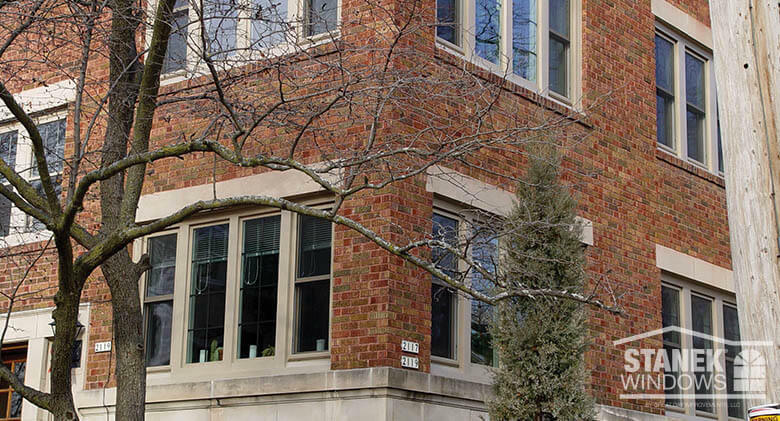 Commercial Window Awning windows in brown are safe and energy efficient. 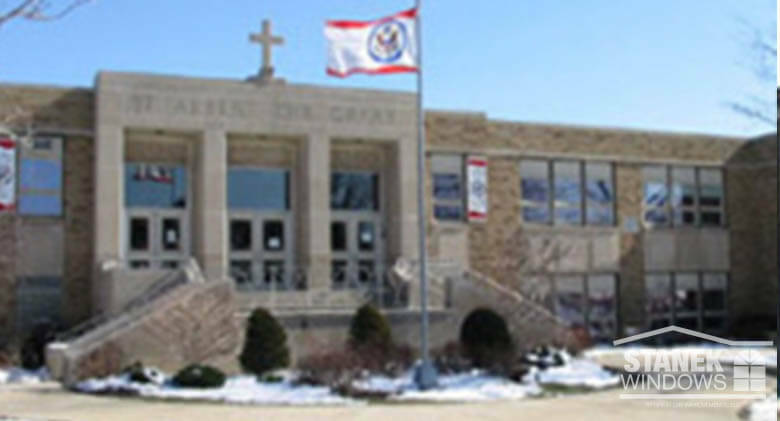 Commercial Window The school of St. Albert the Great got a facelift with new Stanek windows and doors. 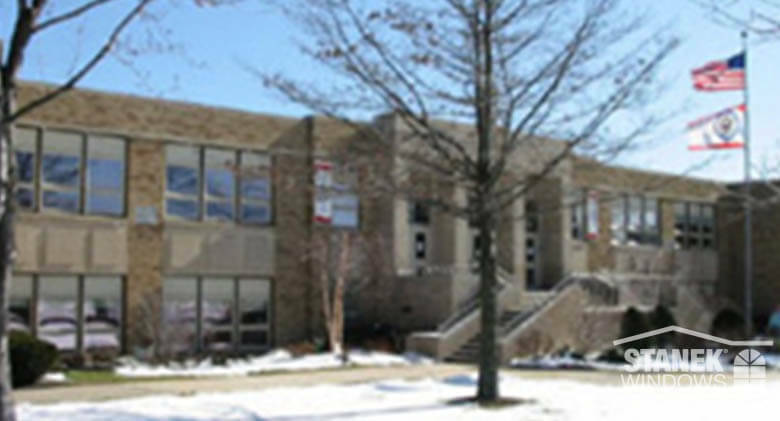 Commercial Window Two-lite awning windows stacked below a fixed awning window are featured in the center section of this school. 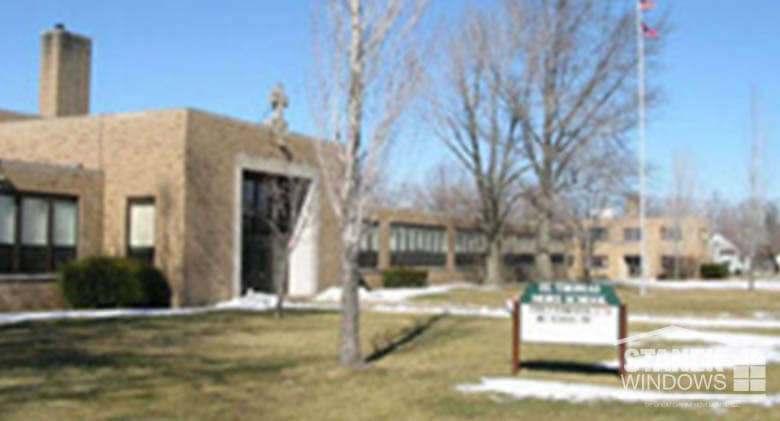 Commercial Window Second-story awning windows above brown entry doors provide an inviting entrance to St. Thomas More school. 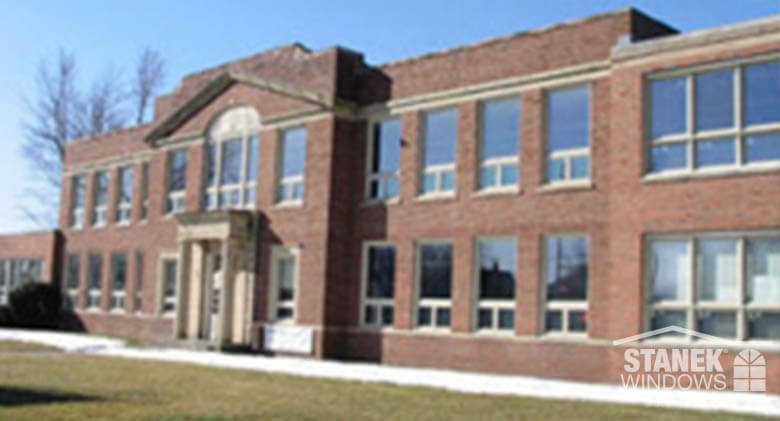 Commercial Window Equally divided three-lite sliding windows provide great ventilation. 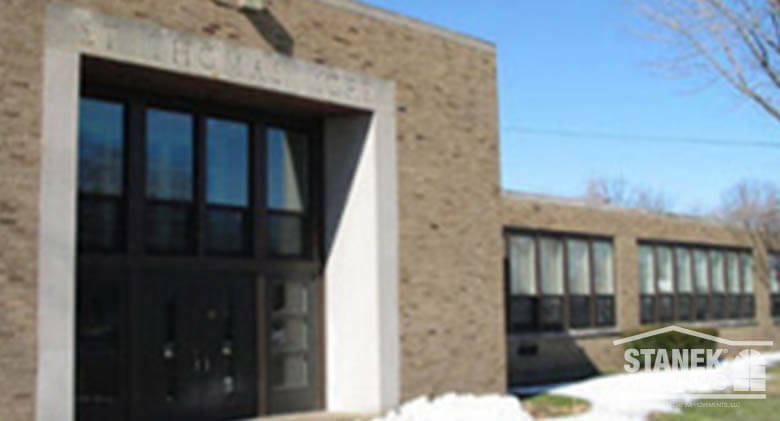 Commercial Window Energy-efficient Stanek windows and doors provide a cost savings for school districts. 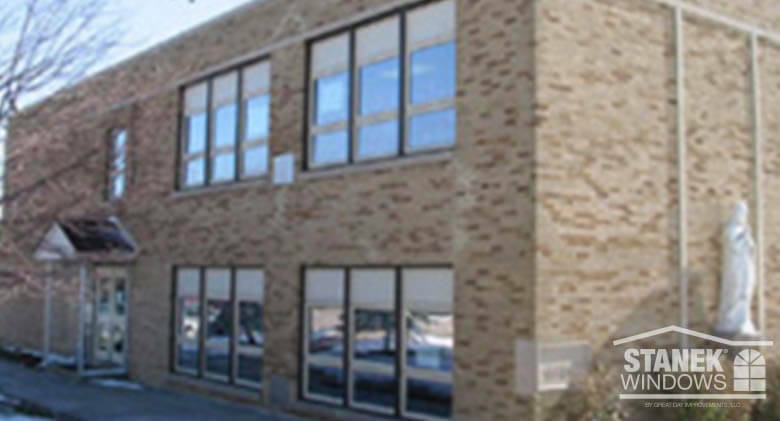 Commercial Window Stacked awning windows are the perfect complement to the architecture of this commercial building. 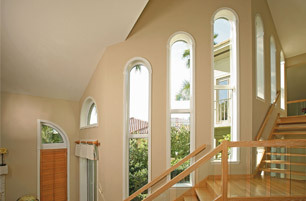 Commercial Window Awning windows are secure and energy efficient. 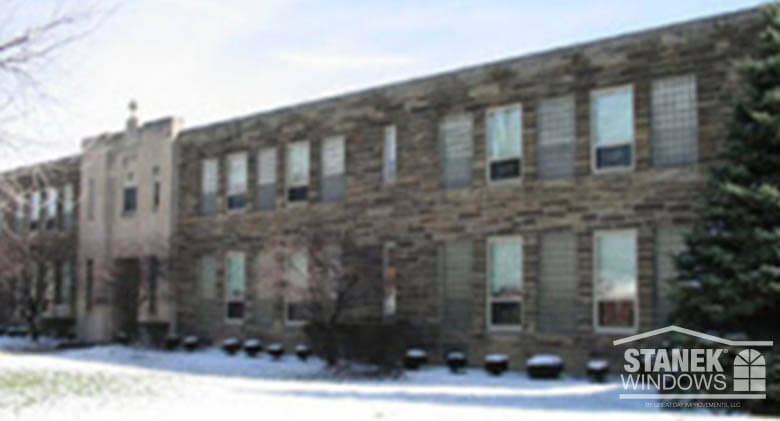 Commercial Window Brown double-hung windows are an attractive addition to the façade of this office building. 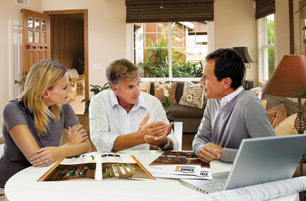 Our downloadable resources provide helpful, educational information to aid your window buying process. 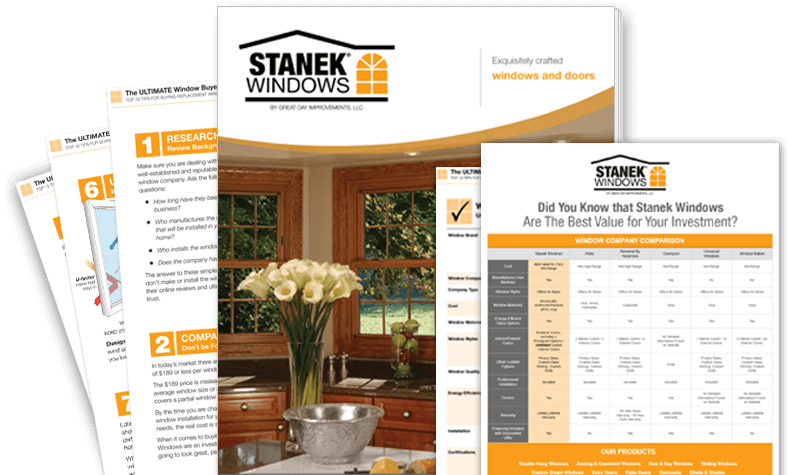 Download helpful tips on how to purchase windows and discover who makes the best windows for your investment. 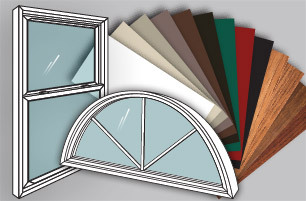 Want to compare window companies? 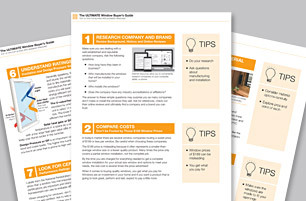 Download our window comparison chart or our FREE checklist.